How Tower Systems helps Jewellers stay on top of supplier inventory changes | A blog about smart POS software for independent small businesses. Pandora, Thomas Sabo and other respected international jewellery brands confidentially provide to Tower Systems sock files with details of each inventory item so these can be easily maintained in the jeweller management software used by jewellers. Through partnership with these respected jewellery companies, we are able to help our customers to maintain stock files to current standards. This saves time in the retail businesses. It also facilitates greater data accuracy. Plus, it better connects the jeweller retail businesses with the suppliers. Our work, done closely with suppliers, builds strong and valuable bonds. Better still, it helps the local independent jewellers run more professional and world-class businesses. The work done here by Tower Systems is offered pro-bono by the company as part of its commitment to helping small business retailers. To find out more about how Tower Systems helps small business jewellers connect for a data feed with jeweller suppliers, please speak with one of our jeweller software experts today. Here at Tower Systems we love providing free training opportunities for our small business retailer customers. Thanks to customer engagement, here we a4e years after starting the service maintaining it, week in, week out. The training sessions are often more like business mentoring discussions as it is not so much about how the software works but more about how to leverage greater business success using the software. Be more informed than the supplier rep, make fewer mistakes, get more from the relationship. Loyalty Programs. What works best for you. There are 4 ways to do loyalty in retailer. Find out which will work best for your business. 10 different ways you can free up time and money in your business using retailer. Come with us on a deep dive into discount vouchers and assess whether this fresh approach to loyalty is right for you. We have begun previewing new-look POS software for our specialty retail marketplaces. This new look represents more than a year of work in design, development and testing. It offers our customers a fresh look, it keeps our software current with design standards relevant to retail in 2017. This latest new look for our POS software continues the Tower Systems commitment to maintaining fresh and relevant software for our retail partners. It is what helps our software stay ahead, be loved by existing customers and winning the hearts of new customers. The first personal previews of the new software started a week ago at the Sydney Gift Fair. They continue in a week’s time at the Melbourne Toy Fair. Then we will show the software off at our face to face user meetings around the country. The new software is a result of terrific collaboration across multiple divisions of Tower Systems. It is a great team effort. We develop, sell and support software for: gift shops, jewellers, bike shops, toy shops, fishing/outdoors businesses, garden centres/nurseries, pet shops, produce stores, firearms businesses and newsagents. 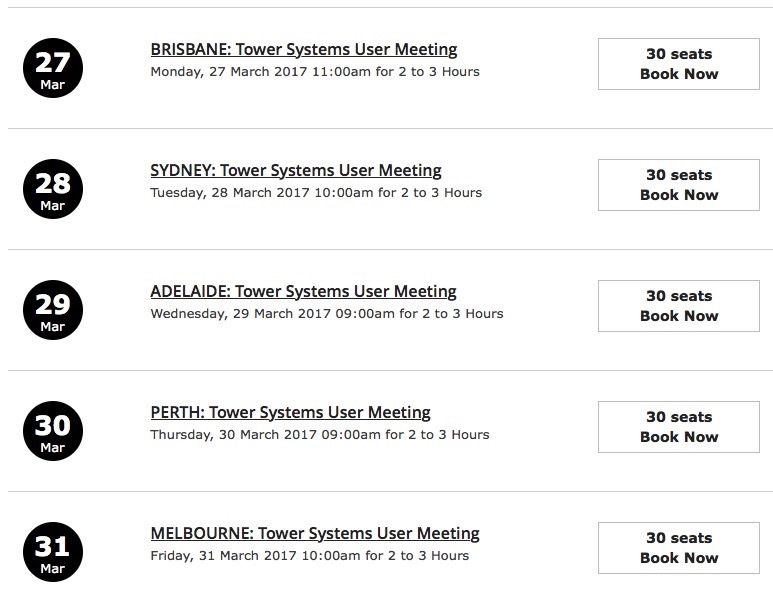 We are thrilled to SHARE details of our first batch of face to face user meetings for 2017. We have scheduled sessions for Brisbane, Sydney, Adelaide, Perth and Melbourne, starting March 27, 2017. We will demonstrate the new look and feel of Retailer, our Shopify / Magento and Woo Commerce integrations, our Xero integration and much more. Plus there will be time for your questions. Free training. An opportunity to pitch your suggestions. This is an excellent chance to leverage more from your relationship with us. Click here to book and see venue details. Yes, we will announce more dates soon. Compare websites. Go deep. Look at ease of contact, support connections. Look for details of the real people being the business. Compare software. On your desktop, next to each other. Compare training. Sit in on a training session. Compare usefulness, professionalism. Look at online tools. get a login and see what real users see. Use it. In a shop,l behind the counter. See first hand the user experience. Learn the total cost of ownership. Get this in writing, for the first three years. See the real cost of owning each of the software packages you are comparing. There is a huge difference between software products. These six points could help you avoid POS software that is not right for your business. One-on-one training. Unlimited personal individual training each year. Knowledge base. This is a self-service facility with access to articles, videos and more that help our customers learn how to use the software. It is like a living and evolving user manual, but much better. There is an extraordinary difference between Tower Systems and others. Our commitment is consistent and absolute. We are grateful for the opportunity to serve. Here is our stand at the Sydney Gift Fair, at Darling Harbour. We are thrilled with the look and how the first two days have gone – what a wonderful and optimistic event. Tower Systems embraces a range of touch points for connecting with small business retailers. One such touch point is Facebook. We have a private group where our users can ask questions and talk through opportunities. We use this platform to share support and other announcements. 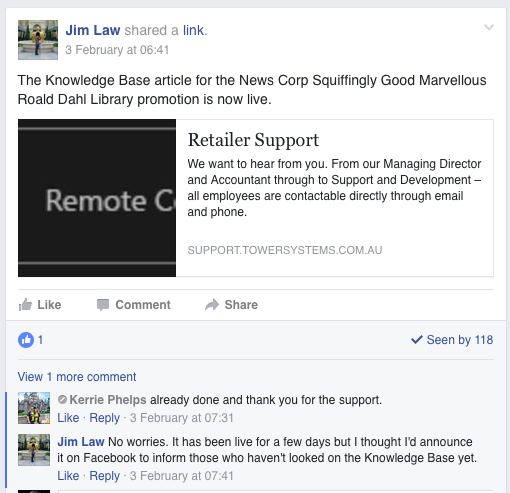 The Tower Systems user private Facebook page is proving to be a useful touch point, transparent too. Customer service today requires change and here at Tower Systems we embrace change happily. There was a time when small business retailers could rely on selling their business for a handsome increase on the price they paid thereby providing a good pay day, when businesses sold for a good multiple of net earnings. No more. Today, the best way to extract value from our businesses is to make every day your pay day, to not rely on your pay day being the day you sell the business. The challenge is how do you do this? day being your pay day. Each decision needs to be considered in this context. Focusing on profit today will give you a better result today and make your business more valuable tomorrow. Run with the leanest roster possible. Just about every retail business we review has capacity to lower labour costs. Have your best people working the floor, helping customers spend more. Have stunning displays that attract people from outside the shop. 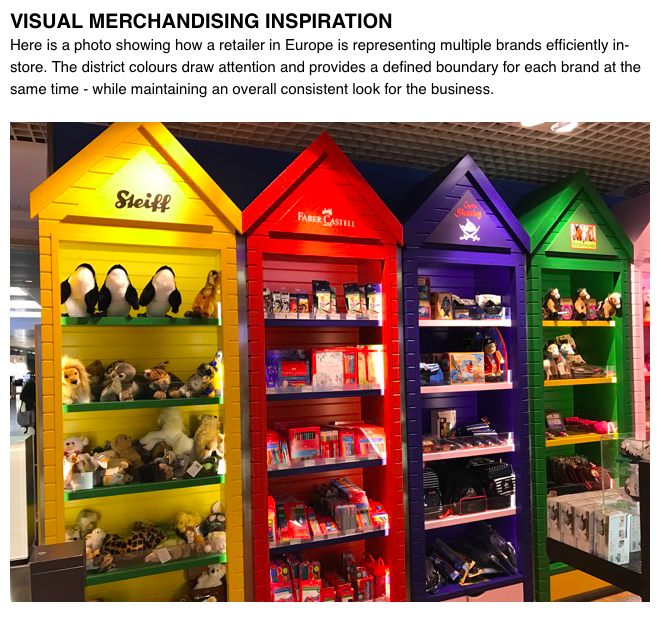 Have compelling displays in-store that encourage people to browse beyond their destination purchase. Always have impulse offers at high traffic locations. Charge more every time you can. Loyalty programs such as discount vouchers, bundling into hampers, multi buys such as 2 for 3 and other opportunities enable you to do this by blocking price comparison. Buy as best you can. Grab settlement discounts every time you are able. Promote outside your store using online and social media opportunities. Leverage adjacency information. Chase a deeper basket – people purchasing more each visit. Be responsible for the profitability of your business. Don’t blame your suppliers, your landlord, your employees or some other external factor … it all comes down to you – the decisions you make and the actions you take. If you relentlessly pursue profit with a clear focus you are likely to see profit grow. That’s better than waiting to make money when you sell because that’s less likely to happen in this market. Doing all this relies on your measuring the performance of your business. The Tower software helps with this. It is easy. Colour blocking in retail makes a difference in almost any type of business. Shoppers are drawn to colour-blocked displays as they stand out in-store. Here is a colour blocked display we saw on our travels recently, in a stationery related business. Plenty of small business specialty retail businesses have opportunities to colour block. The result can be a valuable increase in shopper engagement. We are excited to be a couple of days away rom showing off new-look POS software. This will be at the Reed Gift Fair in Sydney this coming weekend. The result of extraordinary effort by our development and design teams, this new look software is fresh and exciting. It provides small business retailers a new experience. For us, the new look software is like a retail business doing a shop fit. The result is similar. We are excited to be bringing this to the marketplace. This latest refresh continues our commitment to keeping it fresh for o8ur customers. These are all questions we will answer here for you in the form of suggestions. What you ultimately do is 100% up to you. Your choices need to reflect your own situation and circumstances. Product is not working if it is not paying its way – paying for the floor space it takes and the time you spend on it. Check your sales, rank all your stock based on sales – look at the bottom performing stock. Your software should have a ranked Sales Report that lets you list all your stock ranked by unit or $$ sales. Use this to create your list of items to consider. This advice is an example of how Tower Systems helps small business retailers beyond POS software. Tower Systems is growing in the toy shop software space with more retailers installed and using our toy shop software. Product use and care instructions on invoice. Customer special orders. This is where a retailer will get orders in to serve a specific customer requirement. Includes option to send an SMS to collect goods received in-store. Catalogues – date range based sales. BOGO type selling Buy 1 Get 1 Free, Buy 3 Get 4th one free. Collector card. Buy X over time and get Y free. Sales based marketing. For example, easily targeting the Lego shopper to purchase new packs. Supplier EDI – electronic invoices. The ability to look at sales performance beyond departments / categories and suppliers. A way to slice the data for efficiency. Discount vouchers – enabling retailers to leverage key seasonal traffic at surge times. In years working with small and independent retail businesses, the team at Tower Systems has learnt plenty including the indicators of in which retail businesses theft is more likely to occur. Our experience is that theft is more likely to occur in businesses where stock is not managed properly. All items sold are not tracked at the point of sale. Where new stock arriving in the business is not properly arrived through the software. Where spot stock-takes are not undertaken regularly to maintain an accurate stock on hand account. Where stock given away or thrown away is not written off. Where stock returned to a supplier is not scanned out. Our advice on reducing the cost of employee theft and customer theft is simple – follow our advice, manage your stock and without a doubt the cost of theft in your retail business will be lower than it would have been. If you think the cost of managing stock is too great, think about the cost of $25,000, $50,000 or even $250,000 in theft. Yes, we see this all too often in retail businesses – where stock is not managed. Managing your stock = less theft and less theft = increases product and increased profit = you get more when you sell your business. Tower Systems proudly partners with Hewlett Packard, HP, for hardware for small business retailers. We have been a HP partner for years. There is a good reason for this : SERVICE. Service matters to small business retailers. The HP computers we sell are retail business specific. They are not computers you’d buy for home from Harvey Norman, JB HiFi or elsewhere. No, our HP computers are designed for busy retail environments. The HP computers we recommend are fast. The HP computers we recommend are backed with a genuine 3 year on-site warranty. The HP computers we recommend are backed by us too. The is the difference with HP gear through Tower Systems – it is a perfect partnership delivering excellent advantages to local small business retailers. When it comes to computer hardware for your small retail business a wise investment once is better than multiple less wise investments over time. We use HP gear in our own retail businesses. Our own experience backs the marketing claims for this wonderful gear. All sales to new customers of the Tower Systems POS software have membership to the Tower AdvantageTM support membership included in their package. Tower AdvantageTM is what we call our support service. We trade marked it because it is unique to us. Our small business retail support is 100% local, managed out of our Hawthorn, Victoria, office with support staff located there as well as at several interstate Australian locations. The office based help desk is open from 7am to 6pm Monday to Friday and from 7:30 to 3:30 on Saturdays – AEST. For urgent support outside these hours we have a mobile based after hours telephone support. Help desk access is backed by access to our escalation process whereby customers have access to our Customer Service Manager then to our Chief Operating Officer and then to our Managing Director. The direct numbers of each point of escalation are provided to all of our customers. Each week we run online training interactive courses covering subjects with a business outcome in mind. These programs are run through our WebEx platform and Customers can attend as many of these courses as they like. We would also be happy to develop along with ARL, some ARL specific training courses if wanted. All customers also have access to our online personal training. These sessions booked in advance deliver one-on-one training on any desired subject. We do not cap the amount of one on one training time a customer can book. At the end of the first year customers are invoiced for support for the next year. Customers have the option to pay monthly or pay up front for discounts on multiple years of access. Our support fees are optional, meaning if a customer chooses to not be supported they can revert to a pay per call for access to the help desk. Customer service is important to us. We know that delivering good service is as important to us as it is to our customers. We are committed. In a cloud environment what happens when the Internet is unavailable? The offering is for an external cloud provider, can we leverage our own cloud provider? How are hosting charges calculated, i.e. data storage charges? Our Tower Systems POS software system is very configurable. Users have the ability, if they wish, to run without being hosted. This solves any Internet stability questions, particularly for rural/regional Australian where this may be an issue. The other challenge with cloud is the costs. Our experience is some small business owners are not happy with the monthly hosting cost for a cloud service. These are the reasons we have configured our software to suit whatever situation a customer prefers. Alternatively, if users want, we can host the system in the cloud. This can be hosted on our secure dedicated infrastructure (additional costs will apply) or on infrastructure of their choosing. We will provide guidance on the configuration so the ideal environment is created. If hosted on our infrastructure customers are charged on a per user per month basis. If the user runs in a hosted environment and the internet drops out the user can switch to a facility we call Outpost Mode. Outpost mode allows for basic trading, scanning sales, until such time as Internet access is restored. This is another example of the help we provide to our customers for a broad variety of situations in which they find themselves. We are thrilled with this in-house produced marketing video. We are using it on a range of platforms in different forms. Adding value to the various touchpoints we have with our customers is important to us as it helps our customers to benefit beyond the software. We are not your average POS software company. Our team in Adelaide has had a busy time over the weekend and today at our first major trade show of 2017. 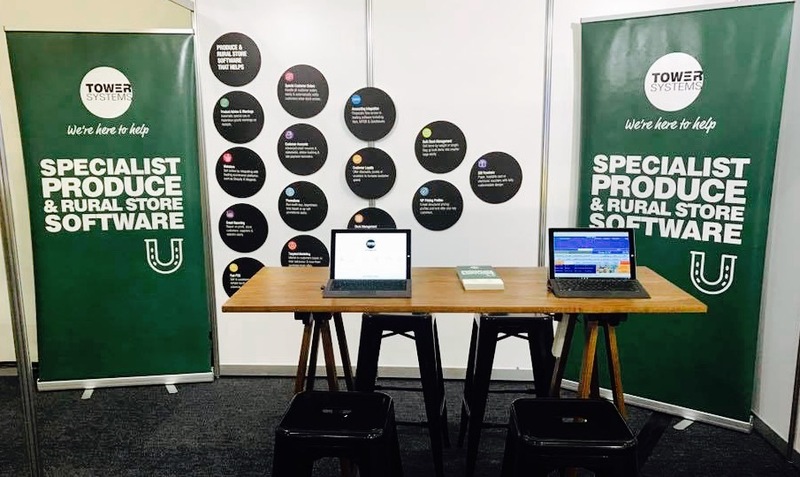 On show was our latest produce business software and our pet shop software. We are grateful for for the opportunity to meet with plenty of existing customers as well as to make connections with prospective new customers. Having new software to show off was a treat. Tower Systems is thrilled to be participating again in the Sydney Reed Gift Fair in a couple of weeks. On show at this wonderful event will be our Gift Shop Software. Indeed, we are launching new software at this very special event. 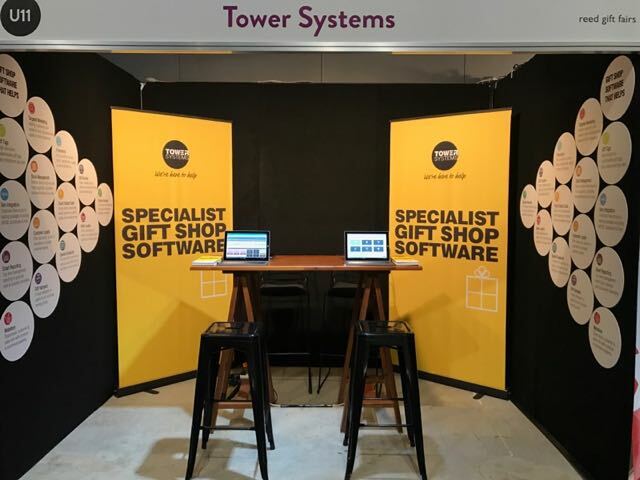 Tower Systems has been participating at gift fair trade shows for more than ten years and as a result have many hundreds of gift shops as customers using our Aussie developed small business software. This year is especially editing because of what we have to show. 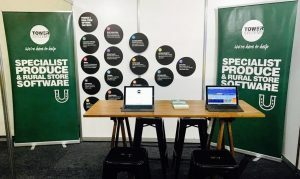 It is fresh, exciting and innovative – aimed to help small business retailers better connect with and sell to gift, homewares and related product category shoppers. This will be a terrific event. We are excited!